The fundamental problem for animals and for the Animal Legal Defense Fund’s work is that our laws still consider animals “things.” That is, animals are property according to the law. It’s a holdover from the past, and as our understanding of animals and our attitudes have changed, our laws haven’t caught up. 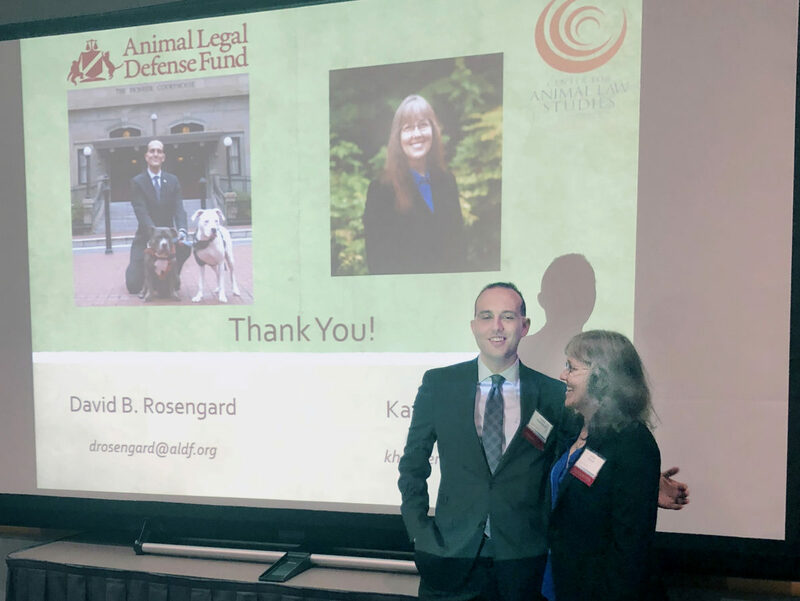 In June, attorneys for the Animal Legal Defense Fund’s Criminal Justice Program spoke about the importance of changing that paradigm at three different events across the United States. 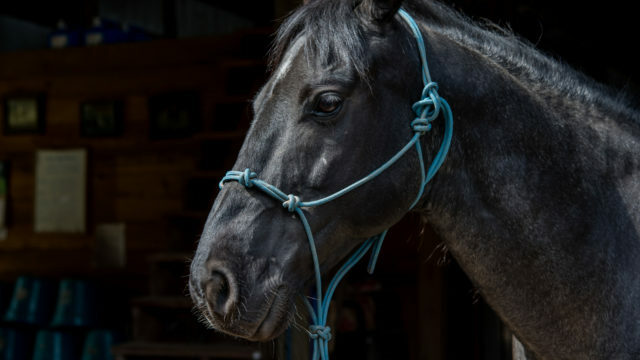 At the Kentucky Bar Association’s annual convention in Lexington, Senior Staff Attorney Diane Balkin spoke on the link between animal abuse and human violence. A former in-the-trenches prosecutor, Diane shared how animal cruelty is a community safety issue and should be taken seriously by law enforcement, veterinarians, and all citizens. Senior Staff Attorney Diane Balkin spoke on the link between animal abuse and human violence at the Kentucky Bar Association’s annual convention in Lexington. In crimes ranging from domestic violence to child abuse to mass shootings to the cruel neglect of vulnerable people, such as the elderly, the young, and the differently abled, addressing animal cruelty is not only crucial to the animals involved, but allows for human victims to receive critical early aid – or for their victimization to be prevented entirely. In domestic abuse cases, abusers may explicitly threaten to harm a companion animal if their victim reports or flees. Even without those explicit threats, victims often do not want to leave their companion animal behind in a cruel household. Awareness of those dynamics allows law enforcement, prosecutors, and victim advocates to better serve those human crime victims by ensuring that animals are not used as leverage against them. Staff attorney David Rosengard speaking about the link between animal and human violence during his talk at the 2018 National Crime Victim Law Conference in Portland, Oregon. Staff attorney David Rosengard also touched on the link between animal and human violence during his talk at the 2018 National Crime Victim Law Conference in Portland, Oregon. 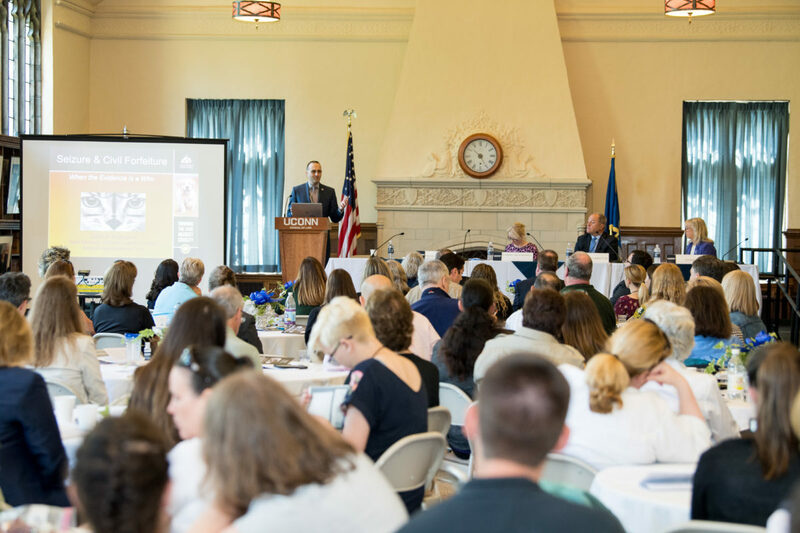 Over four hundred prosecutors, law makers, civil attorneys, victim advocates, and military justice officers attended the conference, the nation’s premier venue for the exploration and development of legal issues related to crime victims. Presenting with Lewis & Clark Law School Animal Law Clinic Director Kathy Hessler, David spoke on how animal-aware crime victim work benefits humans and animals alike and how the legal system is increasingly recognizing that animals, as sentient creatures who suffer when subject to abuse or neglect, can be crime victims. 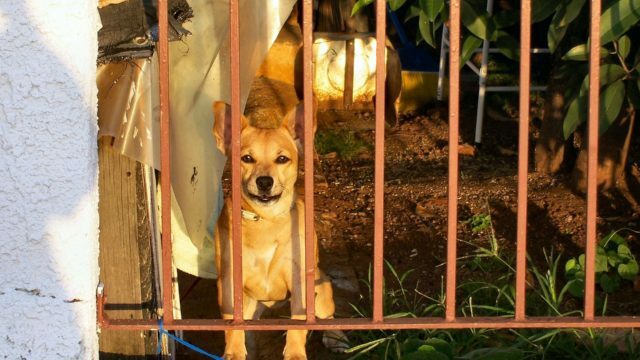 Notably, courts at both the federal and state level have found that animals count as crime victims during the sentencing stage of animal cruelty cases – holding defendants accountable for each animal they abused, rather than taking the ‘abuse one, get the rest free’ approach that would follow if animal cruelty was treated like a property crime. In Connecticut, Desmond’s Law gives animals an even greater chance at justice when abused. While animals are not entitled to legal representation, the law allows advocates like volunteer lawyers or supervised students from Connecticut law schools to monitor the case and assist the court in gathering information from animal control officers, veterinarians, and police officers. Since the law was enacted in 2016, the state has seen an increase in animal cruelty investigations and prosecutions. Demand for information on how advocates can best assist in those prosecutions has also increased. 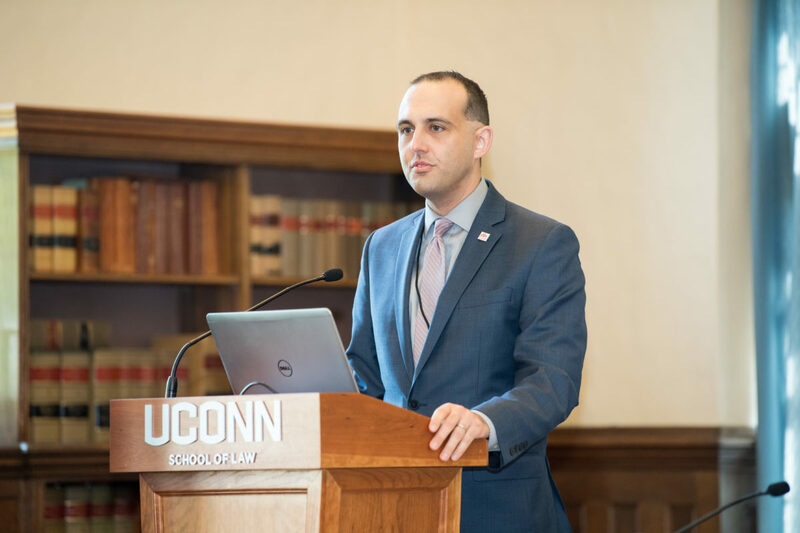 In response, the Animal Legal Defense Fund and the University of Connecticut Law School’s Animal Law Clinic and Professor Jessica Rubin co-sponsored a day-long training covering the course of responding to animal crime from investigation through trial and sentencing. 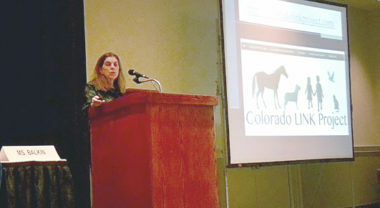 David Rosengard and Diane Balkin spoke to the group of approximately 125 attending prosecutors, animal control officers, law enforcement officers, forensic specialists, legislators, veterinarians, and animal attorney-advocates on the importance of simultaneously addressing an animal’s status as evidence of a crime and that animal’s needs as a sentient creature who has been victimized by crime. 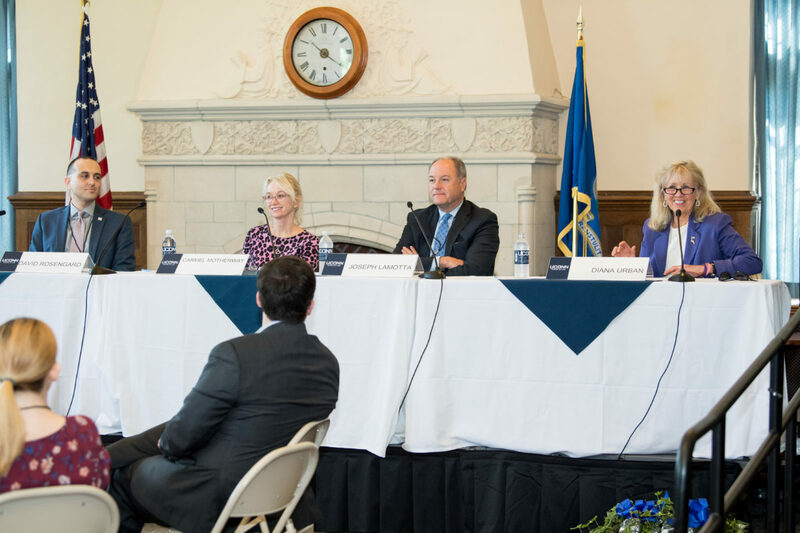 The training concluded with a panel session specifically examining the role that Connecticut’s unique animal attorney-advocates and Desmond’s Army – the citizen group that supports their work – play in improving the legal position of animals within the state’s justice system. In addition to hearing from many of the lawyers and law clinic students who act as animal attorney-advocates in criminal cases, attendees heard from Representative Diana Urban, who sponsored Desmond’s Law. In recognition of that historical accomplishment, as well her efforts on behalf of animals throughout her legislative career Rep. Urban was named one of the Animal Legal Defense Fund’s Top Animal Defenders in 2018. 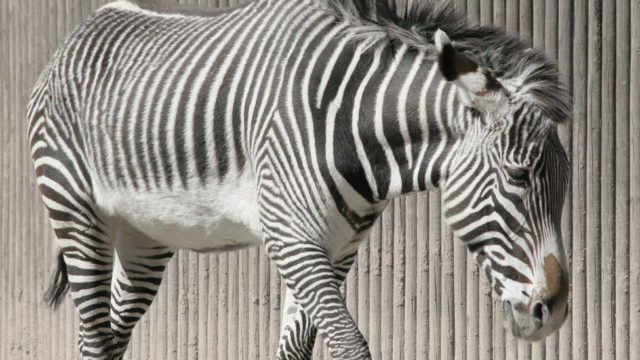 Nationally, there’s also growing trend in considering animals as victims. Diane Balkin represents the Animal Legal Defense Fund on the National Coalition of Violence Against Animals’ (NCOVAA) Executive Board, “established as an independent collective of local, state and national organizations that focus on animal cruelty and its relationship to other forms of violence.” The various members and member organizations collaborate on issues related to animal protection and animal welfare by sharing resources, expertise and model practices. Thanks in great measure to the passion and leadership of John W. Thompson, Deputy Executive Director of the National Sheriff’s Association (NSA), NCOVAA has been able to gain the trust and involvement of law enforcement agents and agencies to give animal protection the attention it is due. Mr. Thompson also led the NSA’s petition to the FBI to include animal abuse crimes in the National Incident-Based Reporting System (NIBRS), which was approved and signed by FBI Director Comey in September 2014, and he led the creation of the National Law Enforcement Center on Animal Abuse (NLECAA). This year’s NCOVAA annual meeting was held in New Orleans, coinciding with the National Sheriffs’ Association (NSA) annual conference, and featured national leaders in animal protection, including but not limited to: John W. Thompson (NSA); April Doherty (State’s Attorney’s Office of Baltimore County); Sheriff Carolyn “Bunny” Welsh (Chester County, PA); Chelsea Rider (National Law Enforcement Center on Animal Abuse); Mary Lou Randour and Nancy Blaney (Animal Welfare Institute); Jim Crosby (Ret. Sheriff and Animal Behaviorist): Michelle Welch, (Commonwealth of Virginia Office of the Attorney General); Martha Smith-Blackmore, (Forensic Veterinary Investigations, LLC); Núria Querol, (Observatorio Violencia Hacia los Animales/UnijePol, Spain): Sheriff Bill Bohnyak (Orange County, VT); and Jessica Rock (Animal Law Resource). The NCOVAA meeting was abuzz with timely topics, including law enforcement encounters with dogs, “the Link,” NIBRS, schoolyard shooters, and the rescue of “big cats.” A frequent speaker at the National Sheriffs’ Association annual conference, the Animal Legal Defense Fund also consistently finds that law enforcement professionals are more than pleased to discover the assistance available to them from attorneys who have field experience in prosecuting all crimes including crimes against animals. They are concerned about the gravity of animal abuse in their communities and, with the help of the Animal Legal Defense Fund, they can make sure those communities are safer for humans and animals alike.